World is full of exotic and wonderful ideas and things. A dream house is a part of most people’s wish list and some most fortunate humans in the world have realized their dreams profoundly. Some dream houses are not less than any mansion and their owners are for sure the crowned heads by destiny. Few below mentioned are a complete face of astonish and wonder! Mukesh Ambani’s $2 billion worth living space is nothing less than a dream space to live. 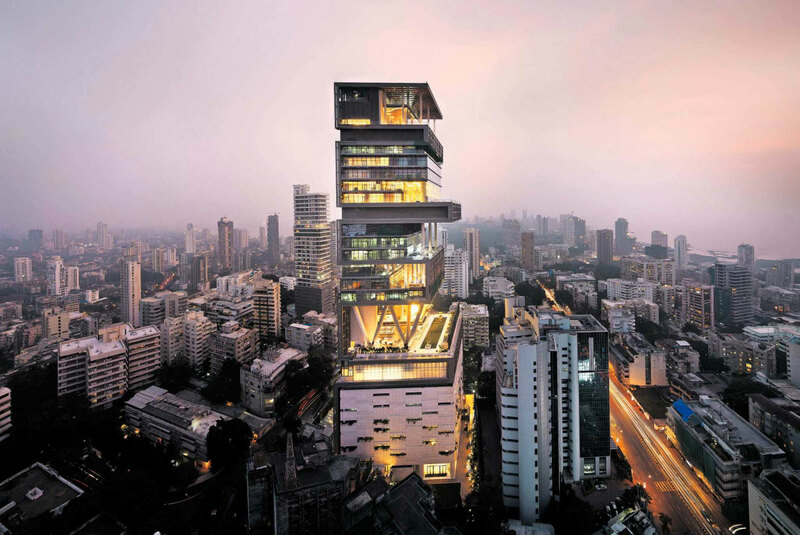 The ultra-rich and massively high priced Ambani’s mension was a result of his wife’s wish to live in her own space like Mandarin Oriental in New York. The house is a combination of various varieties of materials which adds to the massively high pricing of the house. This Hirsch Bedner designed house which is a 27 –story tower makes an eye pleasing, breathtaking site. This impeccable grand beauty is situated 25 miles from London. The grand house includes 103 rooms, 5 swimming pools with serenity flowing in them and 24-carat- gold leafing on study floor. Undoubtedly the house carries a price tag of 85 million British pounds. The house underground garage can accommodate eight limousines. Not only the house but the surrounding also blows the mind as the nearby dwellers are queen and Elton John. 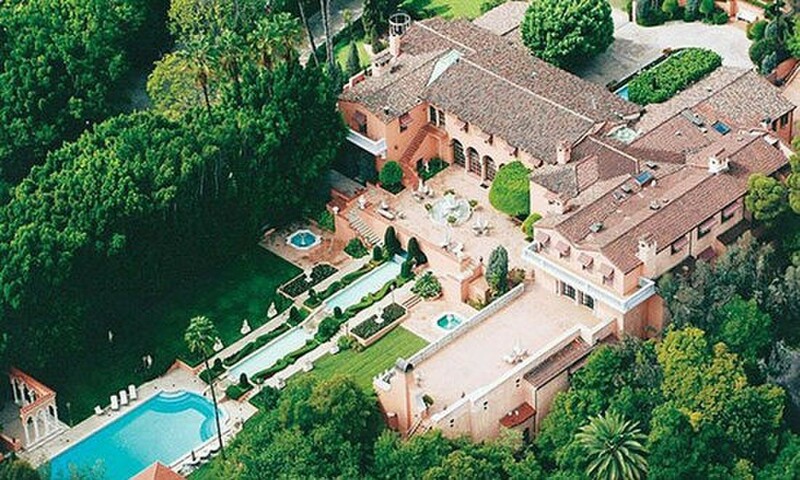 The sassy Mariah Carey owns this luxury resident in Beverly Hills with an asking price is $125 million. The house is pure example of beauty with touch of splendor and accessorized greenery. It includes 3000-square-foot manager’s castle, separate staff quarters for 10 people, a tennis court and a sumptuous garden folly. The US newspaper tycoon William Randolph Hearst owns this luxury mansion comprising of 29 bedroom, 3 swimming pools, tennis courts, cinema theatre and nightclub. The house is ornamented with life-size painting of Davies and statues from Hearst castle. 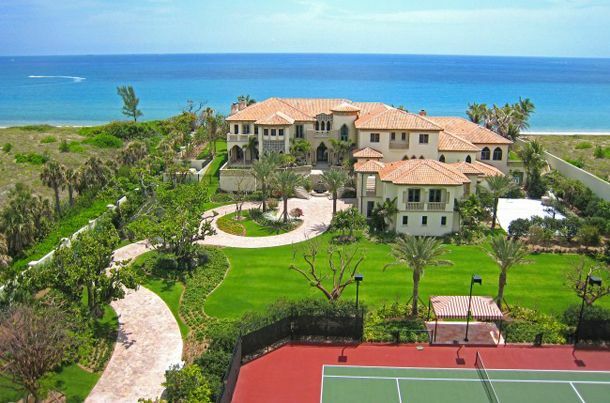 The asking price for this mansion is US$165 million by his current owner. Renowned dwellers near house are Tom Cruise, David and Victoria Beckham. This 15000 square foot villa is one eco- friendly dwelling designed and built by Frank Mckinny, the real estate artist. The house includes 7 bedrooms, an aquarium wet bar with arched shape, a waterfall spa with fire feature infused in it, 11 bathing rooms. The house is called eco-friendly for good reasons of its rain water collecting system to fill swimming pool in every 14 days and environment friendly lighting system lowers electricity consumption by 60-70 percent. The idea seems quite practical as mansions are not meant to be forest huts. But that’s what the maker of the house has tried his most to invent. This magnificent 5.5 acre is an old world charm, standing triumphantly near Atlantic Ocean coast. The beach side villa comprises of all ultra-modern amenities such as 14 bedrooms, 24 shower rooms, movie theatre, casino, gymnasium with beauty salon, tennis court. Also, it can shelter a large number of guest crowd for a big beach party set up as it has 18 car garages built in it. The sea facing opening and its grandeur look is no less than any living dream. The price tag for this rare beauty is $135 million.